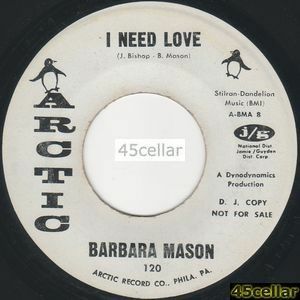 I've been getting a few Barbara Mason bits recently. Hi Roger hope your well, long time no speak. Have you ever heard of a White Demo of Bobby is my Baby??? Yes Thanks, Hope you are well too. I wonder If the Styrene Monarch press for Arctic 120 had DEMOs pressed. Hoping that they did and they are Double Sided. Never seen one though. This morning a Monarch Arctic DEMO dropped through my letterbox, the first one that I have ever seen. Whilst It's not ARCTIC 120 "Bobby Is My Baby", It is quite close ARCTIC 126 and would appear that the Monarch DEMOs were Single sided too. 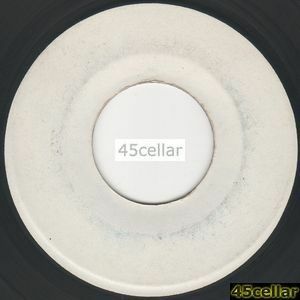 The "B Side" Deadwax which has a Silent Groove has "45-BACKING PLATE" Scratched in so there must be others. Normally expect this Vinyl press.